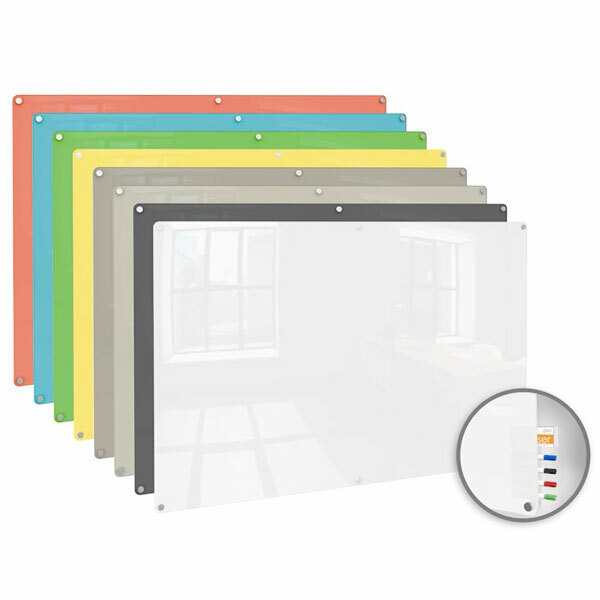 Ghent's Color Harmony glass boards add the perfect palette to your interior fashions, to create an elegant trend-setting dry-erase solution. 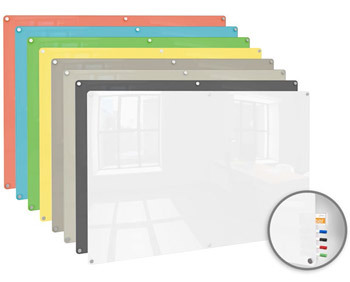 Designed to enhance any décor, these color glass boards communicate boldly. Premium glass is a versatile and gorgeous way to brainstorm and share ideas. Super hard, non-porous glass surface will not ghost nor stain and works with standard dry erase markers. Suspended mounting is the finishing touch to Harmony’s beauty to be enhanced by ambient lighting. Tempered glass is frameless and borderless to create a clean, modern appearance. Made from recycled glass and sand and is 100% recyclable these glass boards are a eco-friendly product. ** Black glassboards require wet-erase markers, not dry-erase markers. Wet-erase markers are included with Black glassboards.